You’ve invited the whole family over and you’ve just realized that you don’t have enough seating for everyone. Skip the plastic folding chairs—here are five seating options that are great for a crowd, but are easy to store or repurpose for everyday when you aren’t hosting. Ottomans are the unsung heroes of double duty, working as everything from footrests and hidden storage to impromptu tables and extra seating. 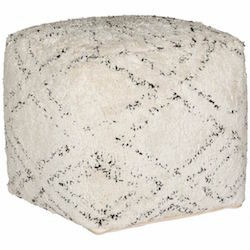 A large cocktail ottoman especially can seat a surprising number of people, and poufs, a close relative of the ottoman, are a great choice for single seats. If your gathering is a little more casual, lounge bags are a great option. 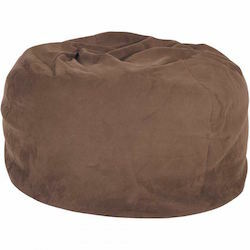 They’re soft, comfy, and large enough that multiple people can easily sit on one lounge bag. Because they’re so inviting, they’re perfect for watching movies or enjoying a game night. And thanks to their light weight, they’re easy to move right where you need the extra seating. While the phrase “stackable chairs” may conjure images of common molded plastic chairs, stackable chairs can be much more stylish without sacrificing functionality. 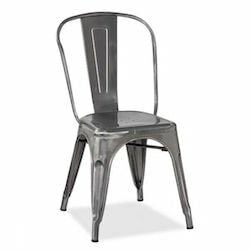 A stackable metal chair or barstool is far more durable than its plastic counterpart, but is still easy to stack when you don’t need the extra seats. Benches provide more seating than chairs, especially if everyone on the bench doesn’t mind getting cozy. 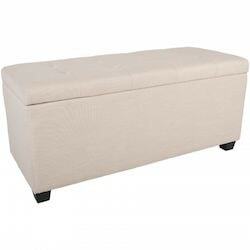 A storage bench is especially useful because you can use it for hidden storage when you don’t need extra seating. 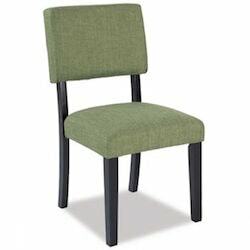 Accent chairs make great last minute seating options because you can use them as an extra seat at a dinner table or in a conversation area, then enjoy stylish decor when you aren’t hosting. Conversely, try using side chairs that you would normally use around a dining table in a conversation area. Whether you choose a single-seat pouf or a large bench, knowing you have extra seating options can make it easy to entertain your guests.